Ukraine and Israel have technically initiated an agreement on the free trade area (FTA), Deputy Minister of Economic Development and Trade, Trade Representative of Ukraine Natalia Mykolska has said. “This is a technical but important procedural issue that enables us to conduct legal reconciliation of the text of the agreement for further translation it into three languages and prepare the agreement for signing,” she wrote in the Facebook social network on Friday. Mykolska said that before signing the agreement, the parties have no legal obligations. As reported, Ukraine and Israel completed talks on the signing of the FTA agreement. The agreement foresees the annulment of import duties for 80% of industrial goods from Ukraine to Israel and some agricultural products within quotas. There will be a gradual cancellation of import duties during the transitional periods – three, five and seven years. After these terms end, the duties will be leveled to nil. A certain category of goods falls under partial liberalization. 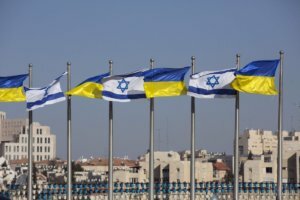 In turn, Ukraine opens 70% of the industrial goods market for Israeli producers and also abolishes duties on a number of agricultural products immediately after the FTA agreement enters into force, for some products – within three or five years. In particular, Ukraine will partially reduce tariffs for certain seasonal vegetables and fruits from Israel. Ukrnafta saw net profit rise by 17.7 times (UAH 1.190 billion) in January-March 2018 compared to the same period last year, to UAH 1.261 billion. According to a company report in the information disclosure system of the National Commission on Securities and the Stock Market, its net income for the first quarter of this year increased by 25.9%, to UAH 8.268 billion, gross profit by 49.6%, to UAH 4.819 billion. 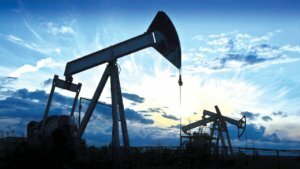 As reported, Ukrnafta in 2017 reduced production of oil with gas condensate by 9.2% (139,000 tonnes) compared to 2016, to 1.379 million tonnes, gas by 14.8% (193 million cubic meters), to 1.108 billion cubic meters, production of liquefied gas by 13.4% (18,000 tonnes), to 116,000 tonnes. Naftogaz Ukrainy owns a 50% plus one share stake in Ukrnafta, the former shareholders of PrivatBank (Kyiv) hold about 42% of the shares. 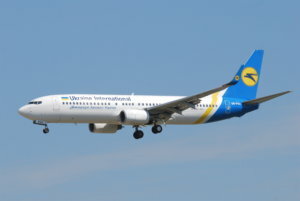 PrJSC Ukraine International Airlines (UIA, Kyiv), the leading air carrier of the country, in 2017 increased net income by 24%, or UAH 4.273 billion, to UAH 22.103 billion, according to a company annual report in the information disclosure system of the National Securities and Stock Market Commission. According to him, net loss coincided with the earlier announced preliminary indicator of UAH 304.51 million against UAH 387.89 million net profit in 2016. Gross profit last year fell by 9.7%, to UAH 1.699 billion, while operating loss amounted to UAH 638.09 million against an operating profit of UAH 31.21 million a year earlier. The report reads that last year the cost of fixed assets rose by 28.8%, to UAH 21.2 billion, in particular leased assets by 28.6%, to UAH 20.46 billion. The value of its net assets slightly decreased from “minus” UAH 2.26 billion to “minus” UAH 2.54 billion. Total liabilities at the end of last year amounted to UAH 954.4 million, including two bank loans for UAH 607.8 million with maturity in 2016 and free cash in the amount of UAH 260.9 million, declining by 14.6% over the year. According to the report, Cypriot-based Ontobet Promotions Limited owns 25.8373% of the company shares, but the same company through the “connection” scheme with the participation of Capital Investment Project and Investment Projects Management (both based at the same address in Kyiv) controls the remaining 74.1627%.